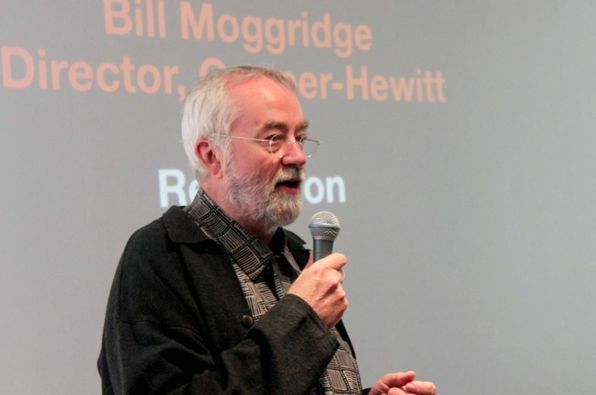 The MFA Products of Design is deeply saddened by the loss of Faculty at Large and great friend Bill Moggridge, who died Saturday at the age of 69. Bill was one of the very first advisors to the MFA program, helping to inform its pedagogy and approach. I am deeply appreciative of Bill’s enthusiasm for Products of Design; he was an early advocate and active faculty member—attending picnics, meetings, and orientations (the photo above is from the 2011 Open House and Orientation)—always with the brightest smile and the warmest heart. It is heartbreaking that we have lost him right as we have just begun here, and although he is not able to participate in the inaugural year of the program, his imprint will be both lasting and treasured. We mourn his passing, and will hold a dear thought for his family. Visit the Cooper-Hewitt's Remembering Bill site here. Interested in learning more about a career in design, about effecting change in the world, and transforming your future? Email us or call us at the number below to arrange a visit or Skype call. We’d love to meet you! As part of SVA Products of Design’s partnership with Veterans Affairs (and held through the Design Research and Integration class taught by IDEO’s Lawrence Abrahamson) , designers Jiani Lin, Alexia Cohen, Teng Yu, William Crum, and Antriksh Nangia used design to examine gender and the military—creating two design proposals aimed at changing the way people “see” women veterans. We are delighted to announce our Visiting Lecture Series lineup for the Spring 2019 season. Read more about Ingrid Fetell, Emily Cohen, Nina Montgomery, Ti Chang, and Sam Potts below! Student Designed Products Launch at the MoMA Design Store! We are extraordinarily proud that for the entire month of April, the two New York-based MoMA Design Stores are dedicating their windows and in-store displays to the collaboration with MFA Products of Design department! For the launch of 6 new products, an Opening Reception was held in midtown Manhattan last Thursday night. Check out photos below of the packed house, guests, and featured products designed by Products of Design students! Sign up here and we'll email you about public lectures and other department events.